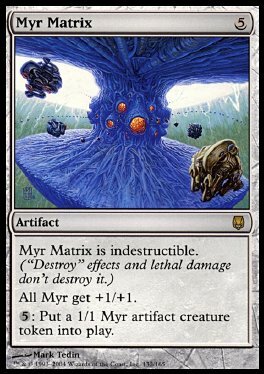 Myr Matrix is indestructible. ('Destroy' effects and lethal damage don't destroy it.) All Myr get +1/+1. 5: Put a 1/1 Myr artifact creature token into play.